Hypnotherapy uses hypnosis as a tool to help people to become more self-aware, overcome subconscious barriers, let go of unwanted beliefs or associations, and create more choices for better living. Hypnotherapy as a profession differs between therapists who have learned hypnosis, and hypnotists who have learned therapy. The sad truth is that the vast majority of hypnotherapists today haven’t adequately learned either of the two. You have a conscious mind and a subconscious mind. Whilst you may aspire to conscious goals and ideals, the subconscious mind is the more poweful mind, generating all of your automatic impulses, thoughts, feelings and behaviours. Often, as a result of faulty subconscious programming during childhood or adult life, you can acquire patterns that just aren’t useful – such as anxiety, phobias, addictions, habits, or poor self-worth. But your subconscious is there to help you – so with a little re-education and re-programming, you can utlilise its power in a far more positive direction. Hypnotherapy is one of the most direct and powerful skillsets to achieve this – but it isn’t always simple. If you’re wondering whether hypnotherapy could help you for a particular issue, there are all sorts of wonderfully complex answers that will leave you more confused that to begin with. Hypnotherapy can only help issues of the mind – beliefs, cognitive thought processes, attitudes, automatic responses of emotion, thought or behaviour. It doesn’t help neurological issues such as Parkinsons disease – although it can assist with symptoms of pathology such as pain or frustration. Having said that, the mind can influence the body in powerful ways. This means that hypnotherapy can be used sometimes to help certain psychosomatic issues such as insomnia, enuresis (bedwetting), skin disorders (psorasis, excema), Crohns disease. The level of therapy required depends on the size and depth of the issue. Core self-image beliefs that stem from early childhood (which can lie at the heart of many issues) definately require more of a long-term commitment to ensure you’re integrated, intact and ready to cope with any changes. Treat your mind with respect – any efforts to cut corners or go with the cheapest practitioner could cost far more in the long run. Be ready to learn and listen to your practitioner. Don’t be too distracted with the ‘hypno’ bit of hypnotherapy – the ‘therapy’ bit is far more important. Choose your practitioner carefully – there are lots of superficial practitioners who have minimal training and are trying to make a fast buck. Remember that your mind works perfectly – it’s because your mind learned so well during all your unique experiences and associated so many things together that you ended up with the issue you have. Hypnotherapy uses those same processes to program your mind in a much more positive way for a change. Have a look at the common issues above to see if your issue is there – or continue reading here! I have worked with many clients who previously had many sessions if not years worth of psychotherapy or counselling – only to make significant breakthroughs and transformations in just one or two sessions of hypnotherapy. Traditionally, therapy has been thought of as a long-term, expensive and arduous task, which is ridiculous. Therapy that doesn’t know when to stop is usually counterproductive because it undermines the innate creative resources of the client and fosters dependency. Careful, intuitive exploration and techniques allows the core fixed-ideas, beliefs and ‘programs’ to be found. Hypnosis then provides the quickest, most powerful route to subconscious change, releasing positive, useful and life-enhancing differences. What ‘talking’ therapies can take years to achieve through repetition and endless meandering, hypnosis can achieve in a single sitting. 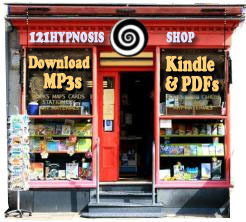 Hypnosis is an excellent resource for both your mind and body. Through the deep relaxation of hypnosis it can be surprising what feelings or memories surface. Hidden conflicts can cause countless symptoms ranging from headaches, low energy, lack of motivation and physical ailments. Through exploring, understanding, and reprogramming your own mind you can enjoy the power of your own psychology for a change. Its also phyiscally, mentally and emotionally very relaxing. Hypnosis has long been accepted by medical communities in America, UK and worldwide as an effective resource for relaxation and subconscious change. Its direct and to the point – dealing with subconscious processes rather than spending hours and hours talking consciously. It’s rapid, powerful and therefore very reasonably priced. I heard somone bring up isochronic tones the a few days ago, do you know what this is or where I could find out about it?